Protected by US Design Patent D557920. Dining al fresco has never been more alluring. Designed by Peter Homestead, the Lakeside Padded Sling Dining Chair invites modern families to connect with nature. 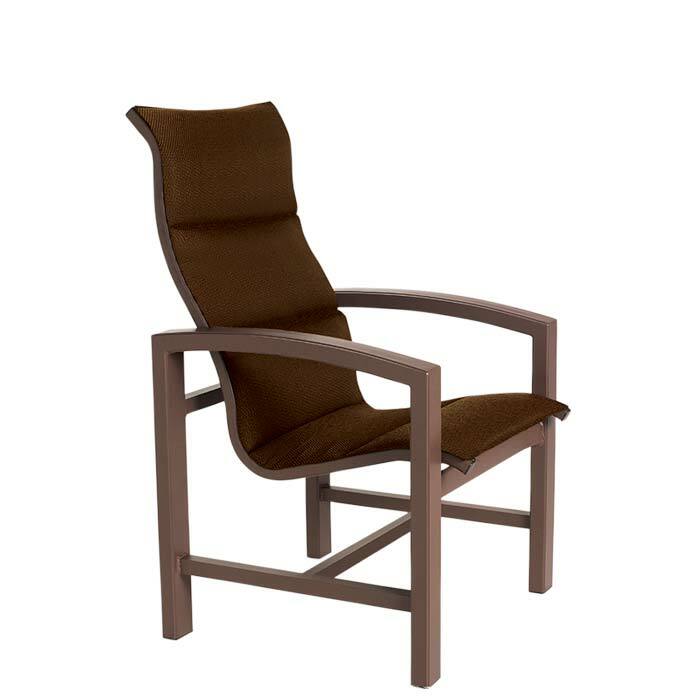 Lakeside Padded Sling Dining Chair features your choice of Tropitone's durable fabric especially designed for comfort and ease of maintenance. The ergonomically designed high back of the outdoor dining chair adds another level of comfort to any outdoor dining experience. The Lakeside Padded Sling Dining Chair invites you to relax and linger long after the meal is over.